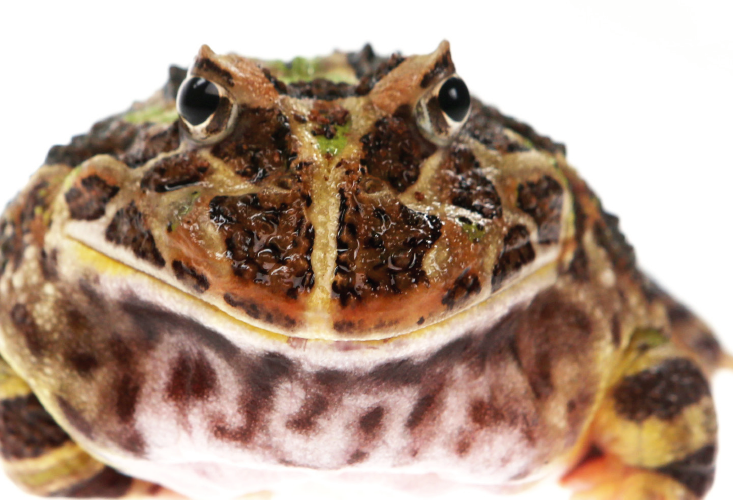 The term “Pacman frog” is the common name of most South American horned frogs available in the pet trade, such as the Chacoan or Argentine horned frog, the ornate horned frog, Amazon horned frog, and the Cranwell’s horned frog. Given these variations, the Pacman frog can be green, dark brown, red (or strawberry), and albino. Pacman frogs can live 10-15 years in captivity. Their maximum size is 15 centimeters (though Amazon horned frogs can grow up to 20 centimeters in length). Females are generally larger than males, but males are more ornately colored. Pacman frogs make entertaining pets, especially because they are very colorful and nice to look at inside a tank. They have voracious appetites for their size, and feeding them is quite an experience as they can swallow prey as big as they are. Their big mouths and abdomens make this possible. Talk about biting off more than you can chew! There are rows of teeth on a Pacman frog’s jaws, and these enable them to hold on to prey and prevent it from escaping as it is being swallowed. The teeth face backwards, so the Pacman frog will not be able to regurgitate or let go of the prey once the frog has bitten it. However, if the prey is too large to swallow, this can lead to the death of both the Pacman frog and its prey. Now that’s a muscled tongue. 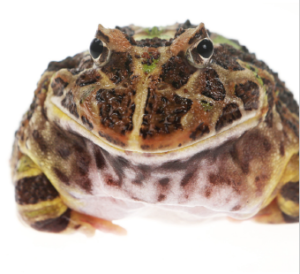 Research has been done on tongue adhesion in amphibians, including the Pacman frog; its tongue’s anatomy was studied as researchers wanted to know how it is able to pull prey towards its mouth before contact between the tongue and the prey breaks; they were also interested in the wet adhesion of its tongue to its prey. It was discovered that Pacman frog tongues are sticky strips of pure muscle. Pacman frogs are often inactive, only moving to defend themselves, hunt, and feed, eating anything that moves and looks like food. This is why raising Pacman frogs in communal tanks isn’t recommended, since cannibalism is inevitable. Pacman frogs can stay dormant for months under piles of mud with just air holes on top for breathing, until conditions are favorable for them, especially during breeding season. They are also able to make a cocoon of skin in extreme heat conditions to prevent their bodies from drying up. Either way, they generally prefer to be buried under substrate. 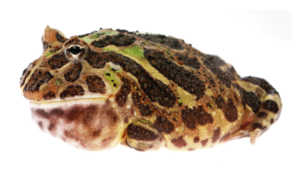 If you plan to keep a Pacman frog, make sure the prey you give it isn’t bigger than it. They like enclosures set up to look like tropical forests (at the end of this feature is a good example of an ideal enclosure for them). 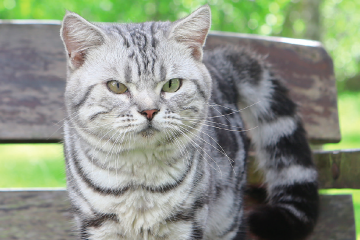 This appeared in Animal Scene’s December 2015 issue.